The women discussed the irony of paying for contiminated water, and about whether or not to pay the bill. Accountability was a concern for the moms. Overall, the biggest worry for Cobb is what the long term effects of this chapter will be. 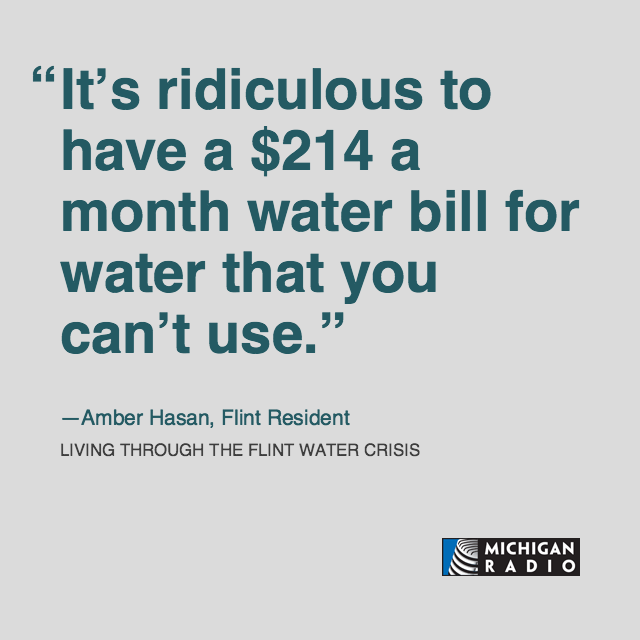 She’a Cobb, Amber Hasan and Laura MacIntyre shared their anger and frustration with state and local officials' handling of the water crisis. 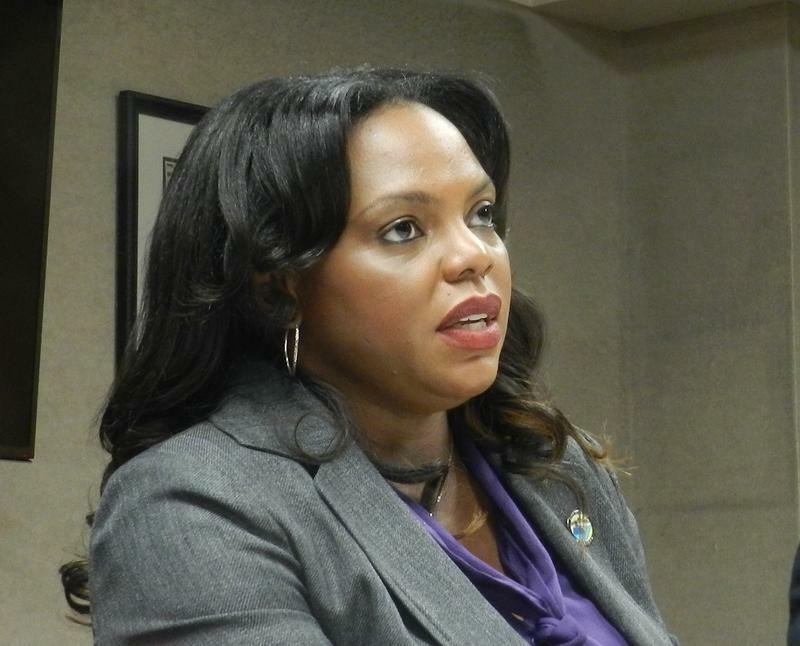 They also expressed deep concern about what this chapter in Flint's history means for the city and its residents. 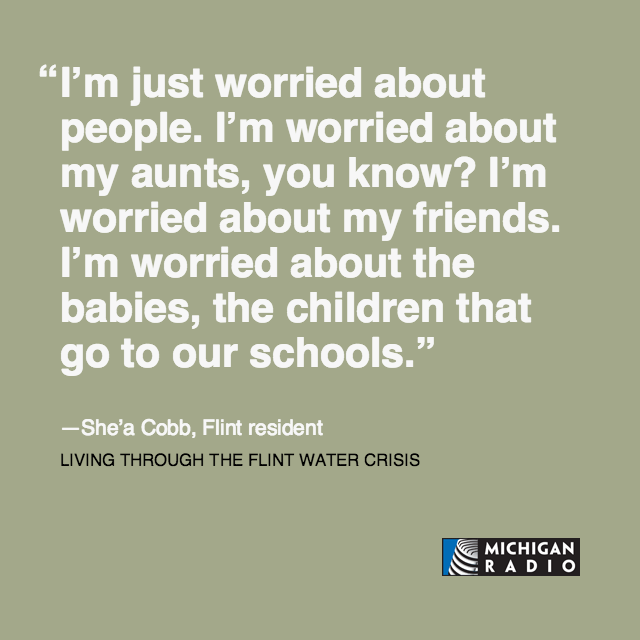 Jennifer White speaks to three Flint parents about living through the water crisis. 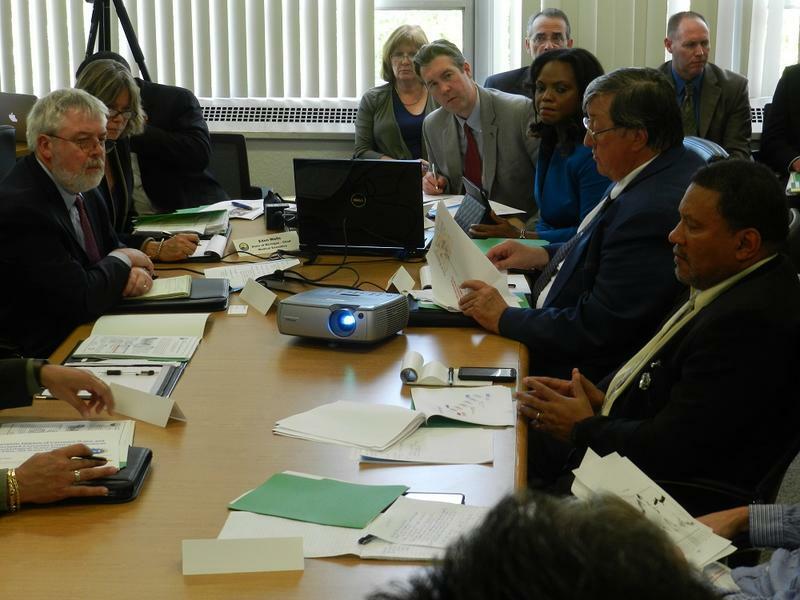 A panel of experts is recommending the city of Flint return to Detroit's water system. 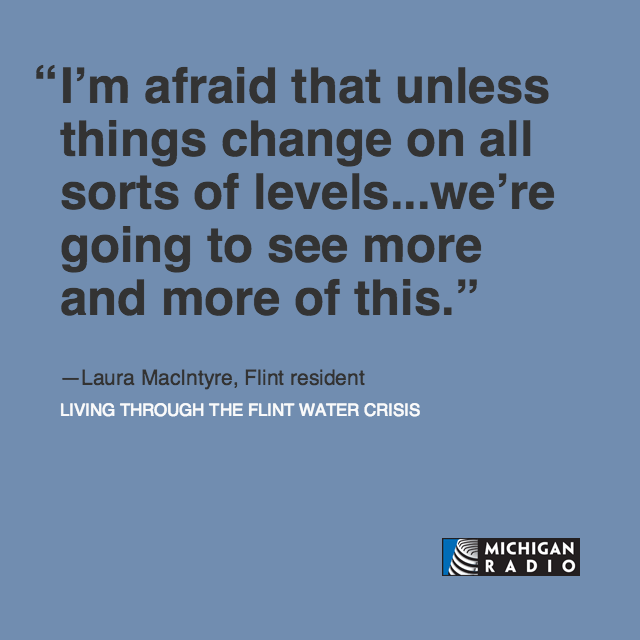 As protesters marched outside Flint city hall chanting “lead free water,” inside local, state and national health and water experts agreed that change is needed. When I learned the governor had reversed himself and was willing to help reconnect Flint to Detroit water, what first popped into my head was what Gerald Ford said the day Richard Nixon resigned and he became President. 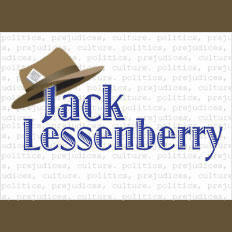 Jack Lessenberry talks about the latest on the Flint water problem. We should hear more specifics today about what needs to be done to return Flint to Detroit's water system. 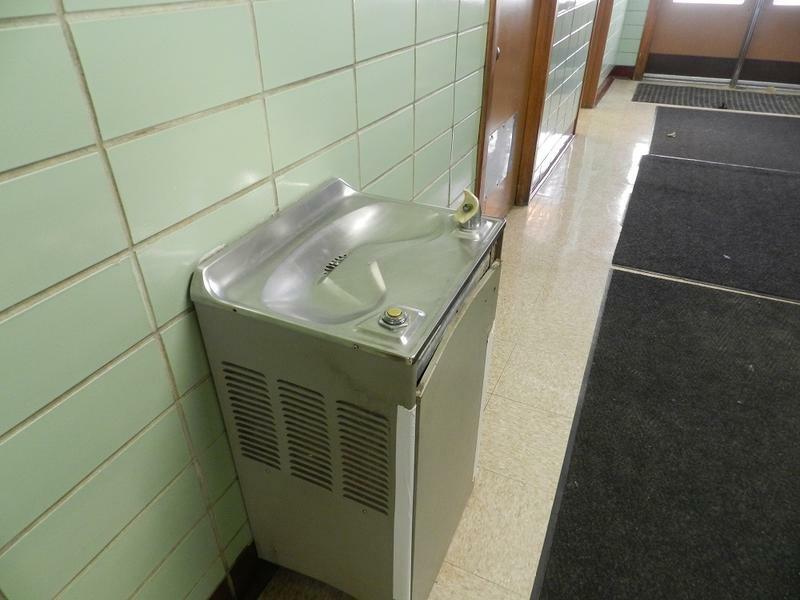 Last week, state and local officials announced a plan to spend $12 million to reconnect Flint to Detroit's water system. But it’s not as easy as turning off one tap and turning on another.